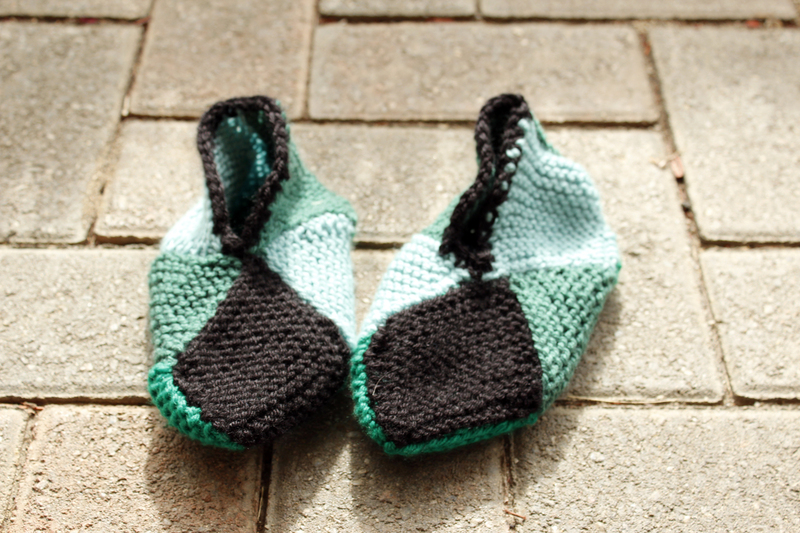 I found this pattern online ages ago where you knit a variety of squares and sew them together. Unfortunately I don’t remember where I found the pattern, but I think it is based off of a crochet pattern where you sew granny squares together. 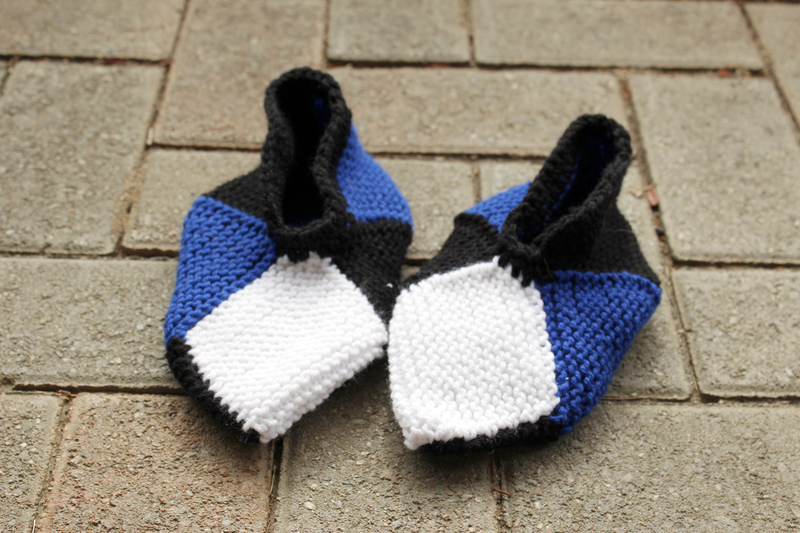 I made Creeper inspired and Tardis inspired slippers for my girls. By the second pair I changed a few things. First I was careful to count my rows for each square so each square was actually a square and not a rectangle. This also ensured they were all consistent. Instead of making all individual squares and spending all that horrible time sewing (ugh), I knit a strip of three squares together and then picked up and knit along the sides for the other squares. The only individual square was the upper toe square. This way I didn’t have to sew quite so much.